The X-ACTO™ Cut All Knife is a jack-of-all-trades in the X-ACTO family. This all purpose knife is perfect for general cutting of lightweight materials such as paper, photos, cardstock and more. If you are looking for the best all purpose knife, consider adding this reliable cut all knife to your tool inventory. 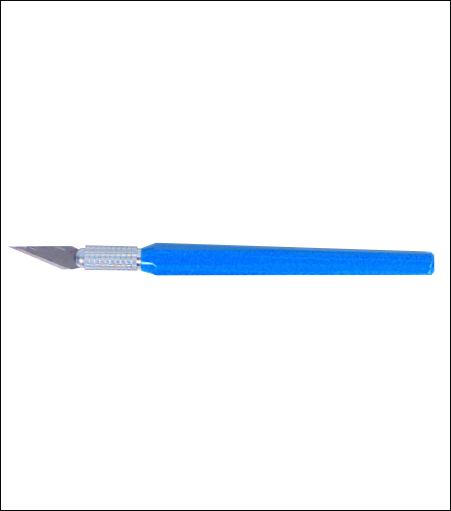 X-ACTO knives are the preferred cutting tool for a wide variety of professionals and hobbyists alike. Designers and artists love the X-ACTO knife’s ability to produce careful and meticulous cuts with consistency, while engineers praise the knife’s durable design and reliability.